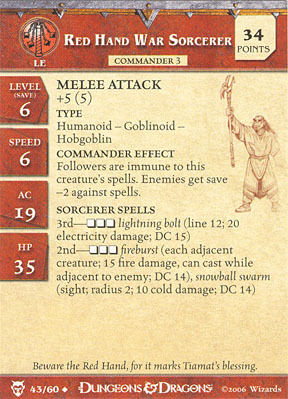 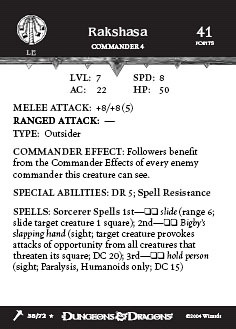 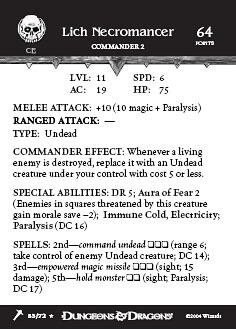 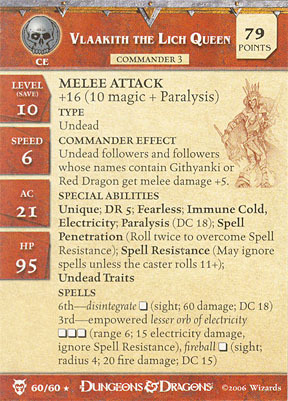 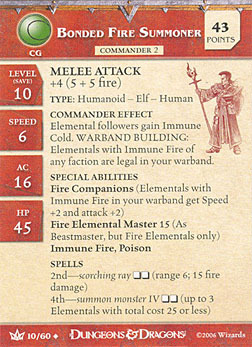 Followers and commanders in your warband gain Spell Focus 2 (Whenever this creature casts a spell, the DC is +2 over printed number). 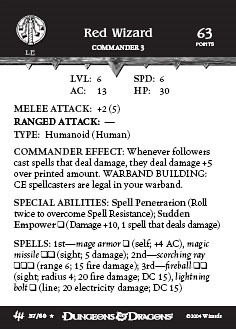 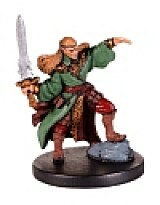 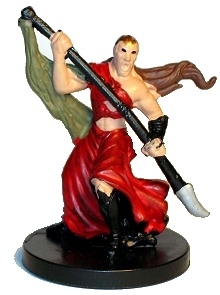 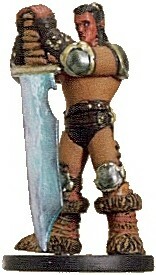 LG Commanders are legal in your warband. Takes 5 less damage from nonmagical melee and ranged attacks. 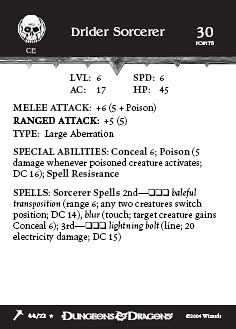 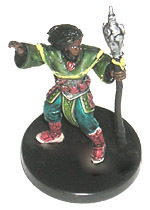 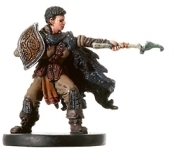 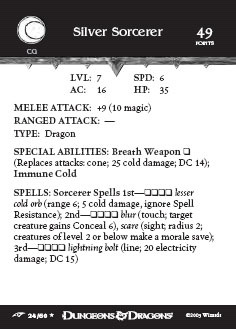 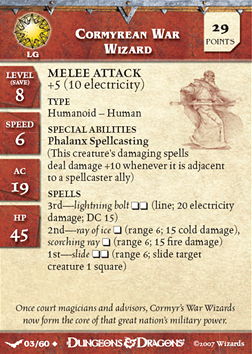 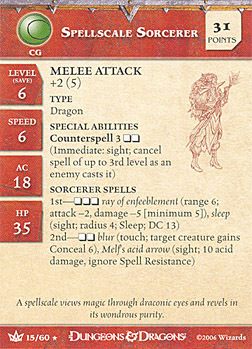 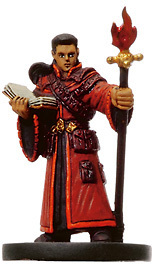 Can cast 1 of each spell from any spellcaster in your starting warband with cost less than its own; if multiple spellcasters have the same spell, it can cast that spell once per caster. 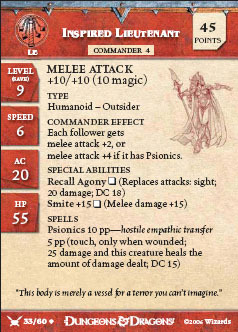 Does not apply to Psionics. 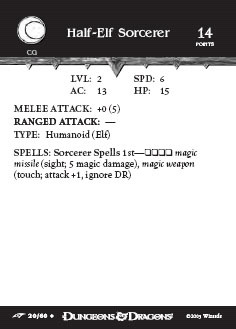 Whenever this creature casts a spell, the DC is +2 over printed number. 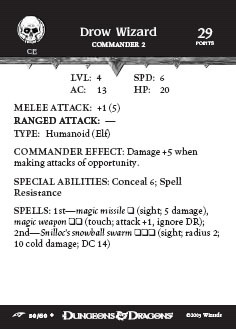 This creature may roll twice to overcome Spell Resistance. This creature is one of a kind and has a given name. 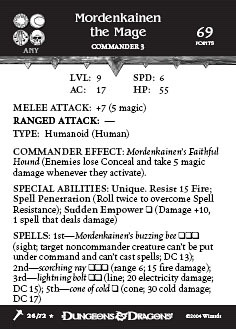 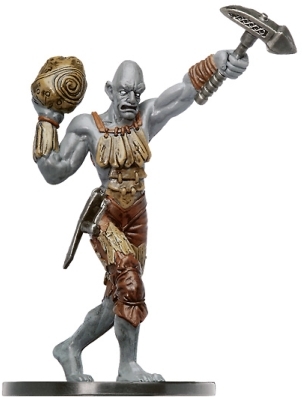 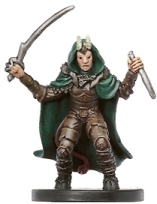 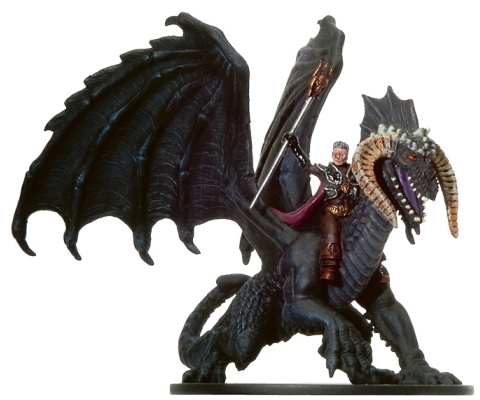 You cannot have more than one Unique creature with the same given name in your warband. touch; place target creature on its controllers assembly tile. That creatures controller chooses the space. 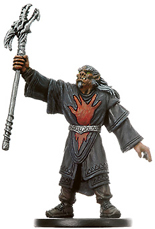 Yugoloths of any faction are legal in your warband. 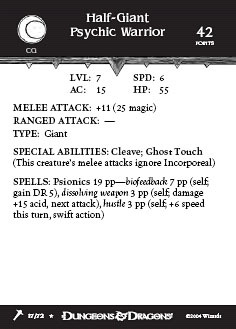 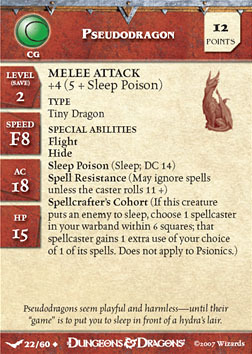 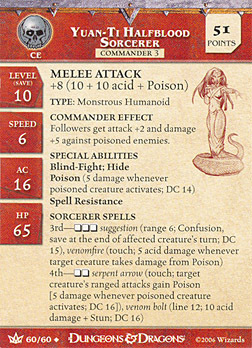 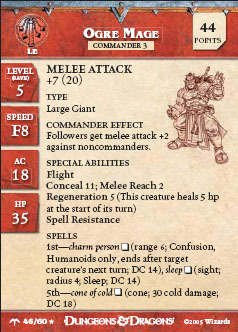 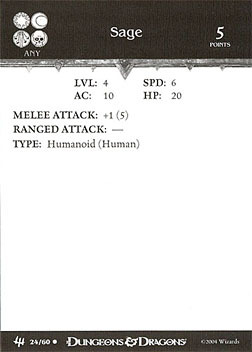 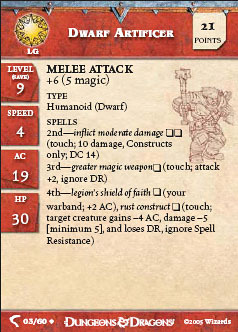 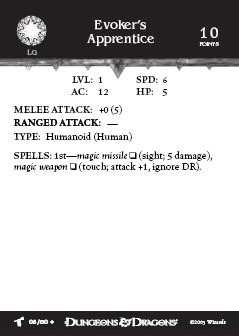 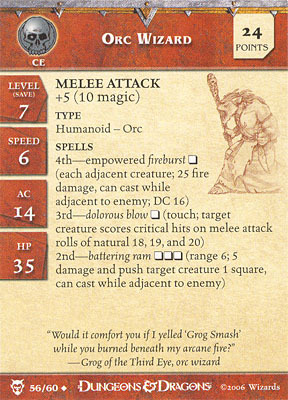 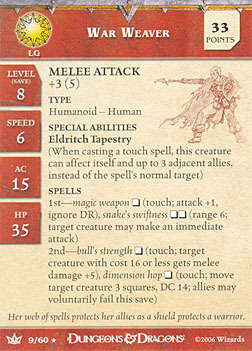 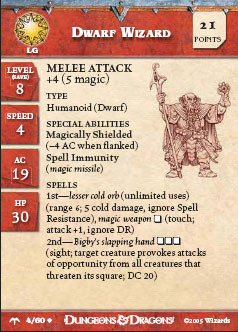 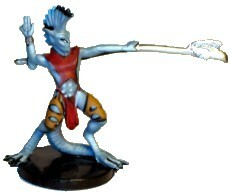 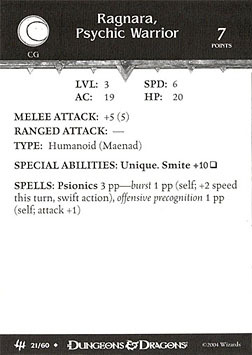 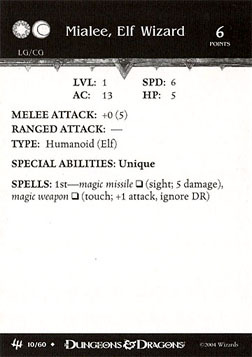 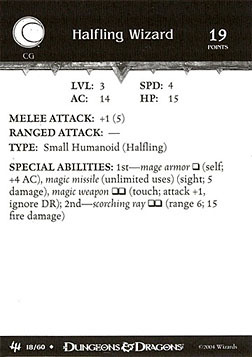 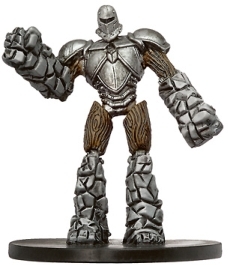 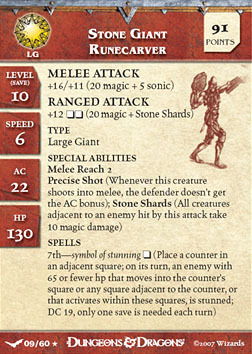 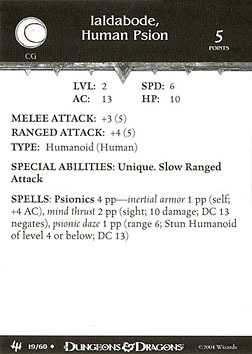 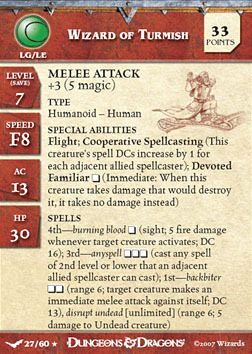 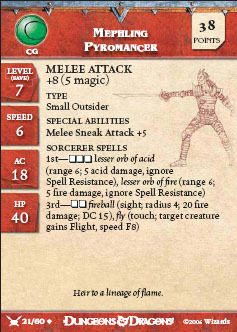 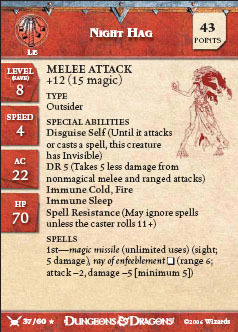 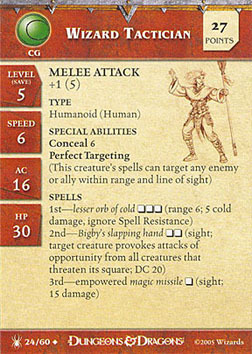 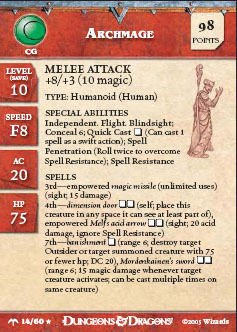 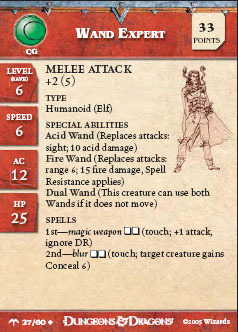 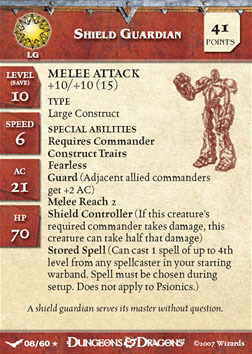 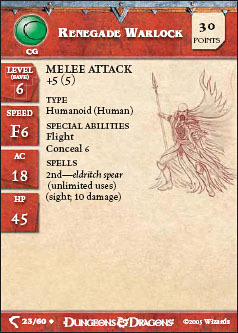 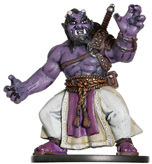 When another creature gets an attack result against this creature that would be a hit, the attacker must roll 1d20. If the result of the second roll equals or exceeds 6, the attack hits; otherwise, it automatically misses. 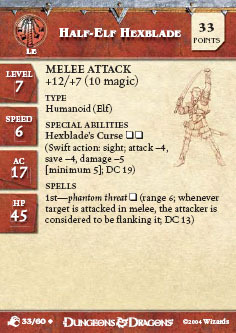 Even a natural 20 on the attack roll misses if the attackers roll against Conceal fails. 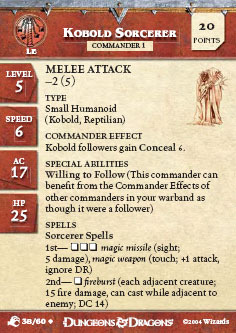 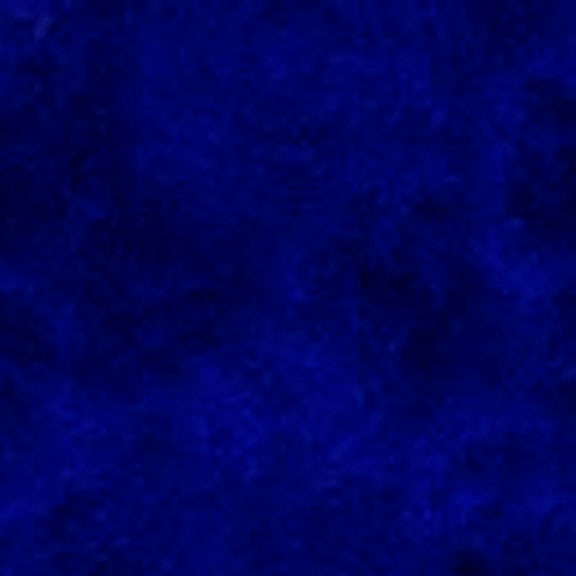 If several effects grant Conceal to a creature, only the highest rating applies. 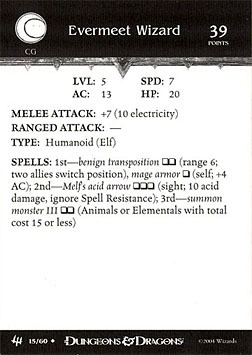 The creature is not affected by Acid.